Photo illustration of bees on campus taken on April 5, 2017. ASU students receive almost daily advisories warning them to steer clear of bee swarms. Currently, the bee population is in global decline. According to the U.S. Department of Agriculture and the Apiary Inspectors of America, loss of managed bee colonies in the winter of 2014 to 2015 was 23.1 percent, and for the first time the summer loss outweighed the winter with a total of 42.1 percent bee loss. Some students wonder how ASU is handling the area's frequent swarms and what happens after they receive a buzz of an ASU advisory. Swarms are most commonly reported in the spring — however, they are typically not dangerous and do not warrant extermination. Campus organizations do their best to both alert the community and safely contain swarms without posing any harm to the bees that pollinate our campus. Ellen Newell, associate director of facilities management, says swarms typically occur when a hive gets too large. Swarms or hives can be reported to ASU campus police or to ASU groundskeeping, who deal with the problem directly. Once a swarm is reported, grounds service crews evaluate the situation, cover it in caution tape and monitor it for around 24 hours. While the tape separates people from the bees, the division is more for the bees' protection. “We tape them off pretty much to protect the bees from people,” Newell said as swarms typically remain non aggressive until something or someone bothers them. Sometimes, hives are built in inconvenient spots, such as the wall of a building near a busy walkway. Because bees can be aggressive while protecting their hives, sometimes crews unfortunately must kill them, but such an occasion is rare. ASU’s campuses all offer landscapes filled with various flowers and plants, ultimately attracting the bees. According to Newell, bees are all over campus, and people are usually not even aware of hives. “Most of the hives are out in the landscape where they aren’t pestering people,” Newell said. ASU alerts help warn students about cautions on campus such as gas leaks, power outages and of course, bees. Freshman student Lindsay Koceja said she witnessed a swarm on the Tempe campus on her way to class and quickly changed route to avoid contact with the bees. Katy Harris, public information officer for ASU Tempe police department, says students and faculty information, including cell phone numbers, ASU and personal email accounts are automatically entered into the system to receive alerts. “We use the ASU advisory for swarms, because there may be people on campus who are deathly allergic,” Harris said. While bee swarm alerts are common, Harris said stings aren't. She said there has only been one sting on campus this year, as the bees typically keep to themselves. And although ASU Police does not track the number of swarms, Harris said they receive swarm reports weekly during the warmer months. With the all bee alerts students and faculty receive many may be lead to believe we have a surplus of bees, but in actuality bees are at a global decline. Matthew Kuebler, an ASU sustainability junior and a student athletic facility worker says he has only seen a few swarms on the job, but they can be intimidating due to their size. He said the alerts underscore a problem people have with bees. 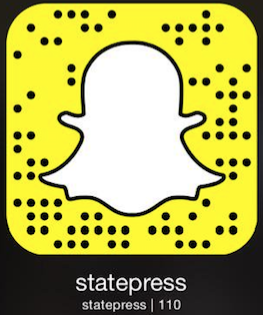 Reach the reporter at hmensik@asu.edu or follow @haileymensik1 on Twitter. Reach the reporter at hollyelysa@asu.edu or follow @hollyelysa on Twitter.